With his girlfriend nowhere in sight Reggie Bush parties in Vegas three weeks after the birth of their daughter. 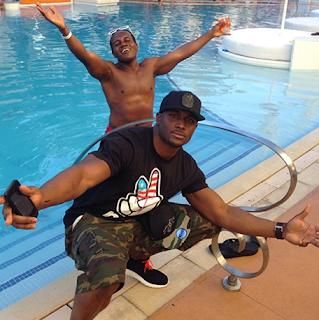 Reggie Bush parties in Las Vegas three weeks after daughter Briseis’ birth. Memorial Day tradition! Three weeks after welcoming his first child, daughter Briseis, with fiancee Lilit Avagyan, Reggie Bush headed to Las Vegas for the holiday weekend. Bush, 28, tweeted a funny photo of himself hanging out poolside in Sin City on Saturday, May 25. “No filter. Vegas. What is he doing?” he wrote, commenting on a man swimming behind him.